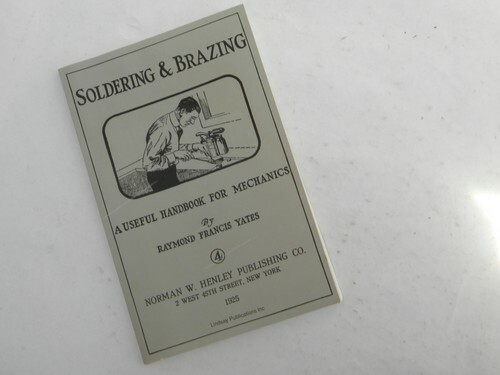 1992 reprint of -Soldering & Brazing - A Useful Handbook for Mechanics- by Raymond Yates. 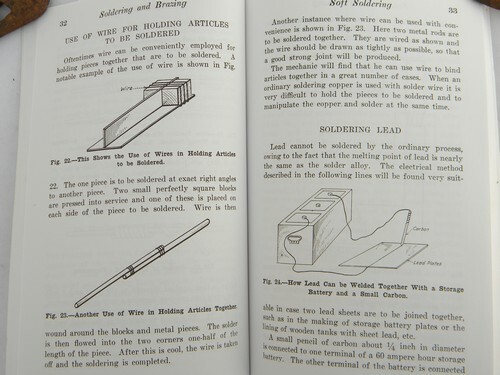 This has 90 pages and covers may aspects of soft soldering and silver soldering and hard soldering (or brazing). 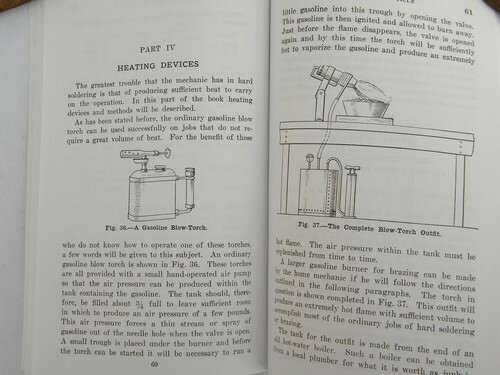 It is heavily illustrated. This has some light wear.